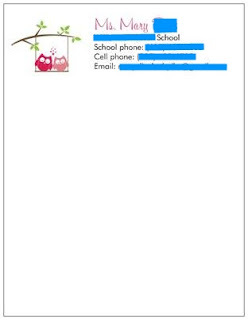 Adventures in Kindergarten: My Vistaprint Order is Here! My Vistaprint Order is Here! I don't know about you, but I LOVE getting packages in the mail. I feel like a little kid on Christmas when I come home and there is something on my porch, even if it is something that I picked out, paid for and have been obsessively tracking for days. That is why I am so excited that my Vistaprint order *finally* arrived! Here is what I got with my $50 living social deal, plus a little more (I just couldn't stop!). I love these notepads more than words! 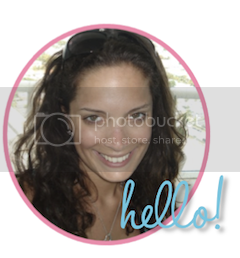 It is so easy to just jot down a quick note with ALL of your contact info handy. A sidenote: I know that many people do not give out their cell phone numbers. For me, it works! I always end up using my phone to call them anyway, so I really don't mind them having my number. Occasionally I will send them a quick picture message to show them what their child is doing. They love it, and in five years I have never had anyone misuse it. I am loving this stamp. It adds a splash of color to important papers that might be overlooked otherwise. Cute address labels for my welcome to school letters and any other correspondence that I will need to do throughout the year. 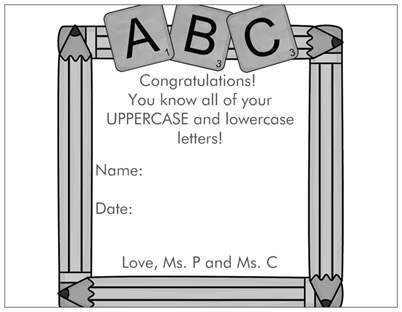 This is the front and back of our new "Now I Know My ABC's!" certificate. It's really a postcard, but they will love that it is colorful and glossy. 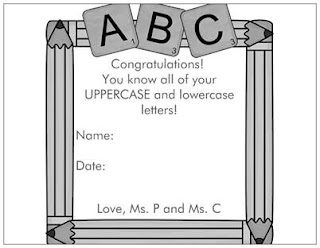 I plan to use these when children have mastered all of their letters. We will make a HUGE deal when presenting them with the certificate. This ADORABLE poster will help show off all of the hard work that the little ones are doing. I think it is a pretty snazzy way to jazz up our hallway displays. I also love that it is made out of a material that it is a little more resilient than a regular poster. Last but not least a little notepad for my personal use. I love to jazz up my to do lists! I have that exact stamp! Love it.